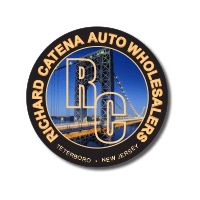 There’s nothing quite like driving a convertible down the streets of Teterboro, and when you shop at Richard Catena Auto you can get behind the wheel of a used convertible for a great price. From Mercedes-Benz convertible options to BMW convertibles, we have plenty of models to choose from. Take a look at our used convertible inventory before you contact us to set up a test drive near Newark! 2016 Mercedes Benz SL550 in designo Magno Night with Black Interior. Original MSRP $120,875. Vehicle equipped with Panorama Roof, Sport Wheel Package, and Driver Assistance. 2014 Mercedes Benz SLS GT in AMG Imola Grey with Titanium Grey Two Tone SLS GT design STYLE Interior Package. Original MSRP $231,745. Vehicle equipped with Carbon Fiber Trim, AMG Track Pace, AMG 19/20 10 Spoke Forged Wheel, Carbon Fiber Exterior Mirror Covers, Bang & Olufsen Sound System. Why Choose a Used Luxury Car? Plus, our inventory is constantly rotating so you’re sure to find the model you want to upgrade your Passaic commute.